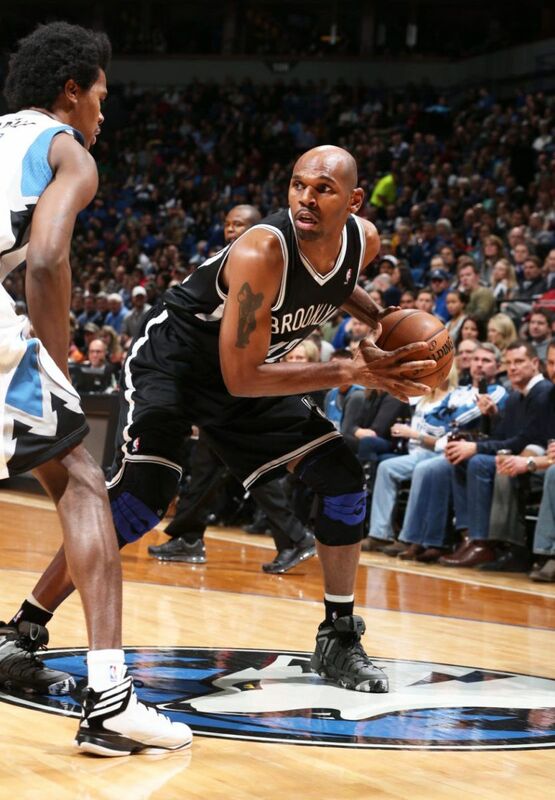 Jerry Stackhouse wears his PE "Camo" FILA Stackhouse. 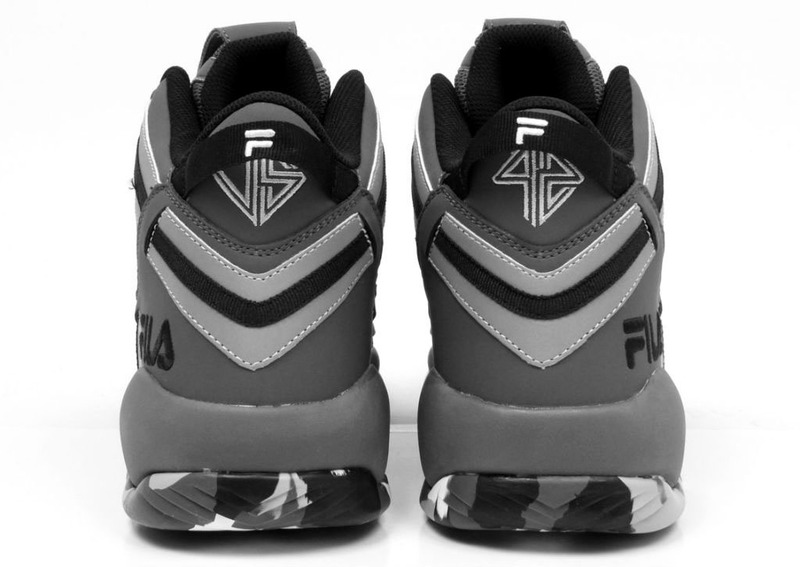 As you may know by now, FILA is on the way back to the NBA court, starting with Jerry Stackhouse, the timeless journeyman who originally endorsed the brand back in the mid-90's. 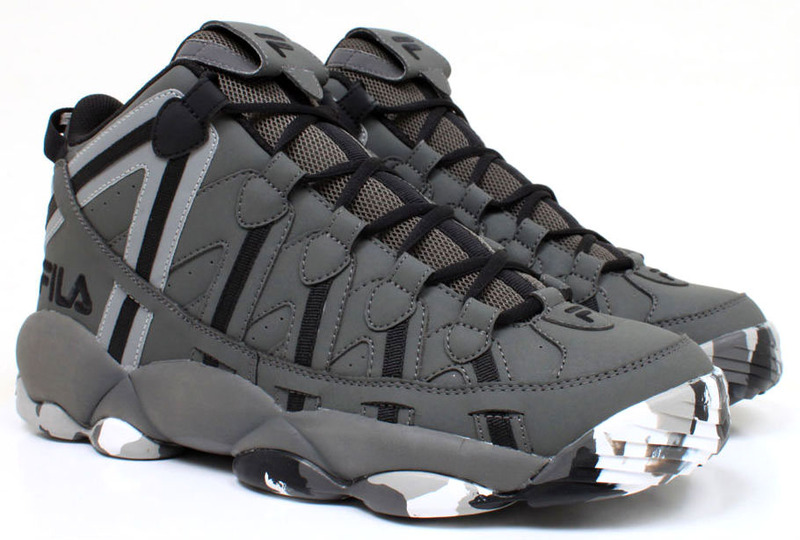 Stack has recently been wearing all new Brooklyn Nets-appropriate black and white versions of his first signature shoe with FILA, The Stackhouse from 1995, bringing the once popular basketball shoe brand back to the hardwood. Last night in a game against the Minnesota Timberwolves, Jerry laced up his PE colorway of The Stackhouse with a grey and black upper and camo outsole, previously previewed here on Sole Collector. Unfortunately, no date is set for a release of this camo version, so it may remain an exclusive colorway for Stackhouse, himself. You will be able to pick up The Stackhouse soon in black and white "Home" and "Away" Nets colorways, but would you like to see this camo version release as well?